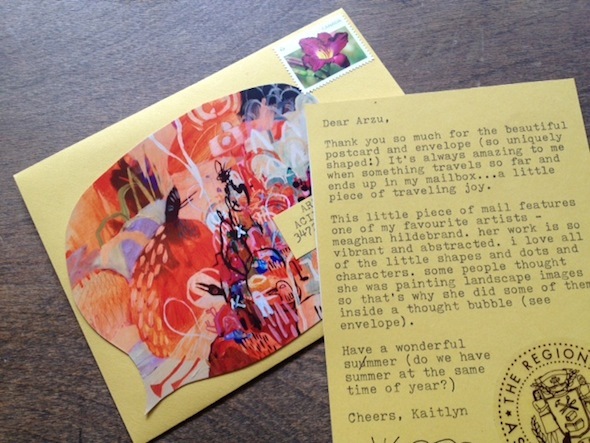 i must have been feeling very bright and colourful this week because my mail art was! i was using a little button die cut puncher and these baby pieces of confetti kept falling out after each punch. i know it sounds crazy but they were so cute i couldn't bear to throw them out! so i used them on this letter to my friend samantha. i also cut out some beautiful invites to a meghan hildebrand art show at madrona gallery in victoria. 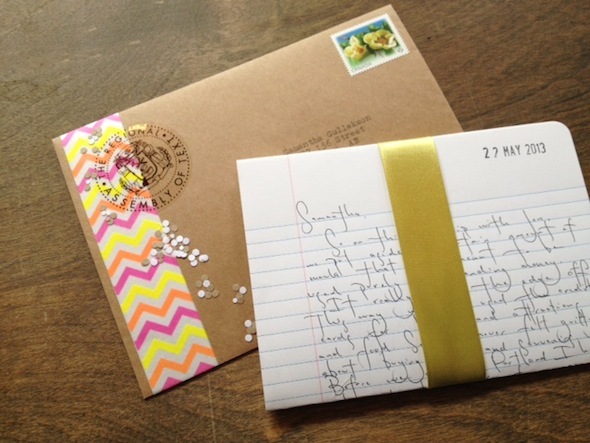 mixed with this mustard yellow paper, it made for a stunning combination. this little piece is traveling all the way to turkey!